We hope you all have had a great New Year! TruckersMP have a lot of exciting events planned for 2019 which I cannot wait to show you all in due course. For most parts of the world, you may currently be having a lot of cold weather and snowfall. 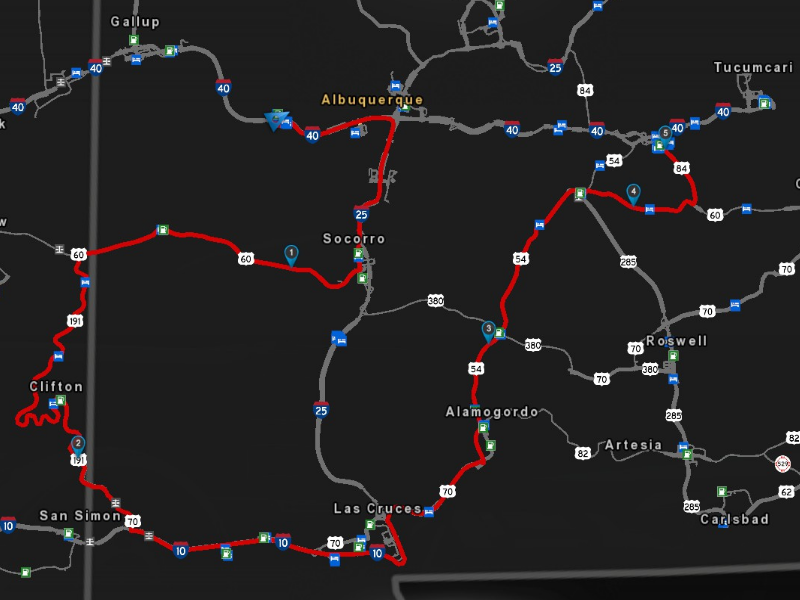 You will be glad to know then, that our upcoming event is a convoy through the hot State of New Mexico, in American Truck Simulator! Meeting up at the large rest stop to the West of Albuquerque, we will embark on a convoy through the States' mountains, farms, and the Chihuahuan Desert. The convoy route will also include the newly added Clifton route US 191. We will arrive in style at the destination of Tucumcari's large rest stops, which is also a great opportunity for a photo-shoot, if you choose to stick around! As always, the convoy duration is estimated to be 90 minutes. It may be longer if you are towards the rear of the convoy. No breaks are scheduled, but you are welcome to pull into a safe place should you require a rest. We look forward to seeing you there for our first convoy of 2019!